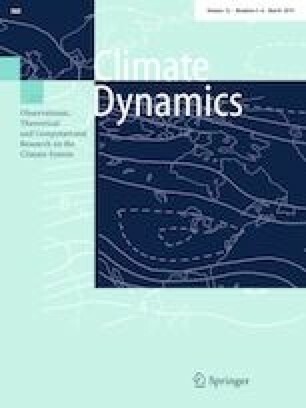 This paper investigates the impacts of the El Niño Southern Oscillation (ENSO) on various aspects of heat waves (HWs), including frequency, duration, and magnitude, over China during 1961–2014. Results show that El Niño (La Niña) significantly amplifies (weakens) the HW activities in most areas of China. Such influences are particularly strong in southern China. HW activities are enhanced (weakened) during the summers following mature El Niño (La Niña) episodes, with increased (reduced) occurrence of HW events and number of HW days, as well as prolonged (shortened) duration and elevated (decreased) amplitude of such events. These amplifying effects are substantially stronger for severe HWs (i.e., hottest and longest episodes) than for those events of average duration and intensity. Diagnosis by compositing reanalysis data over ENSO events indicates that the atmospheric circulation during the summers following El Niño is characterized by anomalous rising motion over the tropical central Pacific and Indian Oceans, and sinking motion over the western North Pacific (WNP). The anomalous subsidence over the WNP is accompanied by reduced precipitation and condensational heating, as well as anomalous anticyclonic flows in the lower troposphere. El Niño also induces a stronger South Asian high, which can strengthen the WNP anticyclone and subtropical high. These changes provide a favorable environment for the occurrence and sustenance of HWs in China. Analogous arguments apply to changes with the opposite polarity in association with La Niña events. This study is partially supported by the National Natural Science Foundation of China (no. 41401052). The appointment of NCL at The Chinese University of Hong Kong is partially supported by the AXA Research Fund.